Light up the night, and forget the batteries, with Stansport's solar lantern. Powered by a 600 lumen CREE LED, this lantern can be charged with either a built-in solar panel or a USB cable. It features multi-mode lighting, providing 5 hours of bright light on max setting, and 9 hours of softer light on low setting. Light up the night, and forget the batteries, with Stansport &apos;s solar lantern. Powered by a 600 lumen CREE LED, this lantern can be charged with either a built-in solar panel or a USB cable. It features multi-mode lighting, providing 5 hours of bright light on max setting, and 9 hours of softer light on low setting. 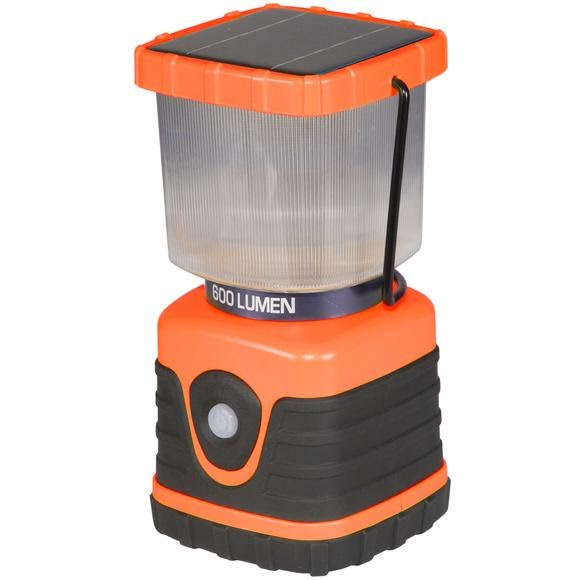 Once charged, this lantern can also serve as a power supply for your phone or other outdoor accessories.